Robert obtained his Ph.D. in experimental/theoretical physics in January 2010. His expertise includes the analysis of large data sets, with estimates of statistical and systematic effects. 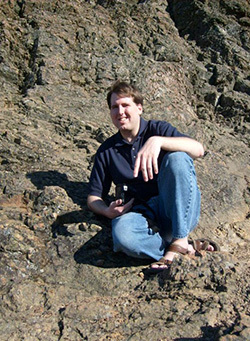 Robert is the co-author (with Richard Muller) of a series of papers on the analysis of biodiversity in the fossil record. His Ph.D. thesis was on The Development and Use of the Berkeley Fluorescence Spectrometer to Characterize Microbial Content and Detect Volcanic Ash in Glacial Ice. Robert is the author and creator of “GeoWhen”, now used as the main reference link for the International Union of Geological Sciences. Robert is also the founder of Global Warming Art.